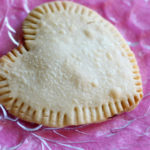 What is it about frozen breakfast foods that make them so delicious? Okay, really, most of them are not all that good. They're just convenient. Have you ever looked at a package of frozen waffles or sausage biscuits? I'm very guilty of serving these up to my family, but then I had the idea of making breakfast ahead of time in individual portions, freezing them, and having them readily available when someone was hungry! Why didn't I think of this before? 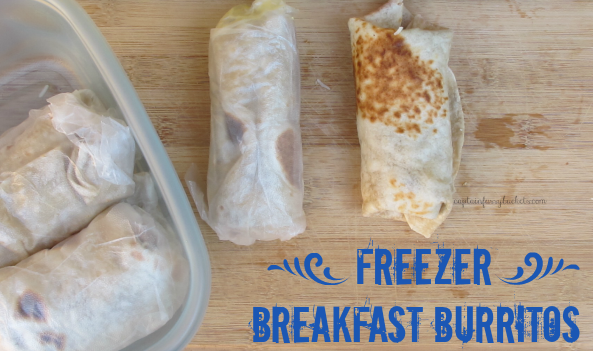 My first freezer breakfast meal was individual breakfast burritos. I buy raw tortillas that you cook because they have very few ingredients and taste the best, in my opinion. I cooked them up really quickly, while I made my egg and sausage mixture. Then, roll them up in Glad® Press'n Seal and make sure they are extra protected in the freezer with Glad® FreezerWareTM. 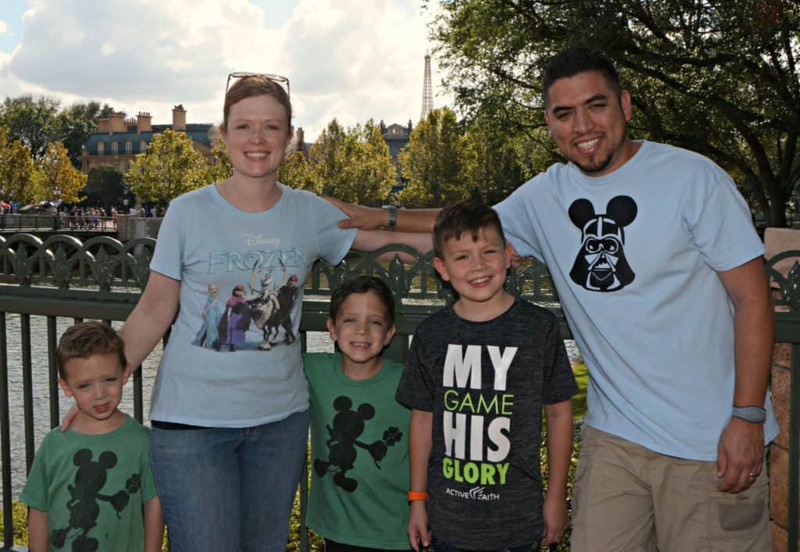 This ensures that they will be protected from freezer burn for a long time. Sorry I can't tell you how long they will last, but I'm pretty sure they will be eaten before they go bad, especially if they're protected in Glad. When someone wants a burrito, simply unwrap, wrap in a paper towel, warm for a minute or two in the microwave, and it's breakfast time! Cook eggs and sausage until done. 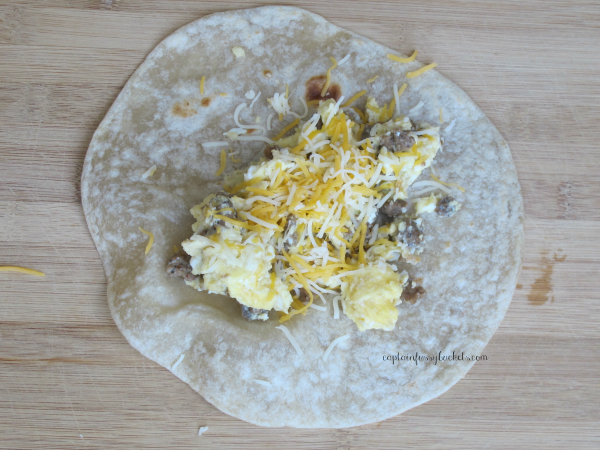 Lay out tortillas and scoop egg and sausage mixture on top. Don't overfill! 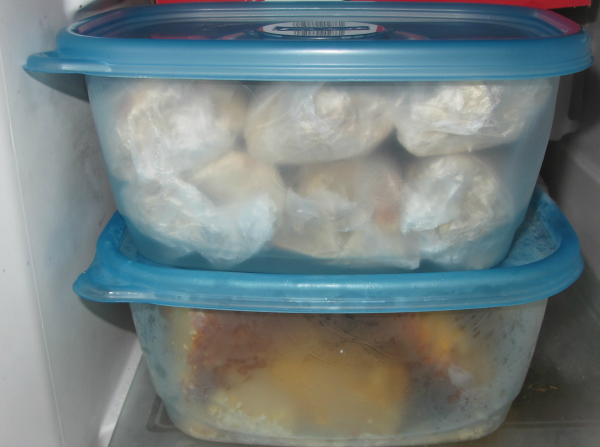 Fold up two opposite sides, and then roll one side until your burrito is snug and secure. 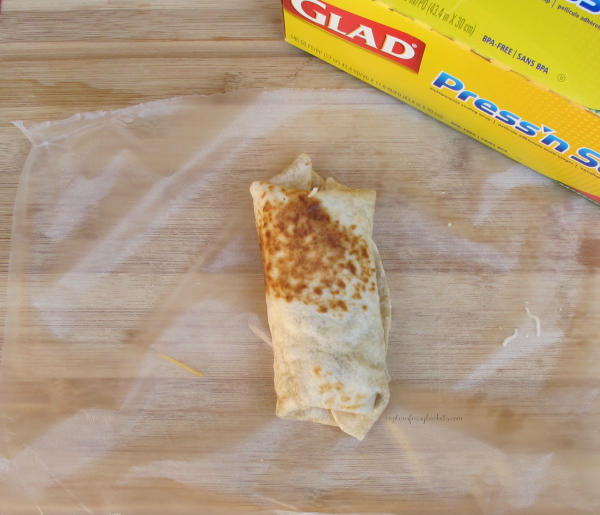 Wrap each burrito in Glad® Press'n Seal. 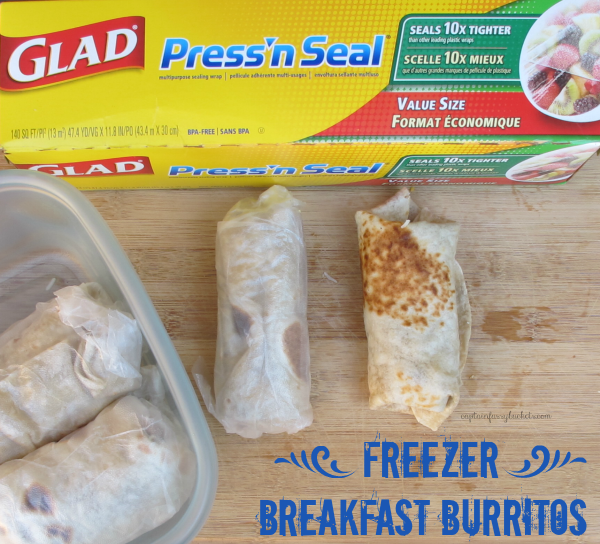 Place wrapped burritos in Glad® FreezerWareTM, snap lid on, and store in freezer. Take a burrito out of the freezer. Loosely wrap in a paper towel. Let cool, top with your favorite salsa, and enjoy! In the past 7 months since we started using Glad products to take care of our food, we have wasted less, preserved the flavors of our food, and saved money by not having to toss out uneaten food! Check out these Food Protection Pointers and start planning ahead, saving money, and stop throwing away food. Glad is here to help! For another fabulous make ahead freezer recipe, check out my Banana Mini Muffins. That looks delicious. I also make meals ahead of time and freeze them. 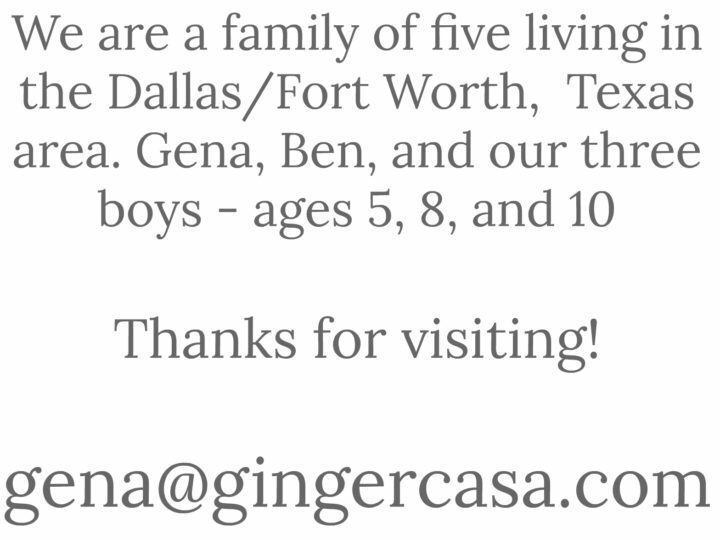 I will try your recipe. I love Mexican food. I can't say that I have ever eaten a breakfast burrito, but I would be willing to give it a try! 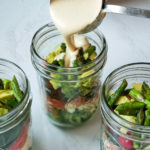 Cashew Aoli Mason Jar Salad – Whole 30 Approved Salad in the Perfect Portions!